Get twice the energy and twice the action with the expanded Kids Suite! These kids have two times as many poses to choose from, giving your project the vitality it needs! No matter the weather, these kids are looking for some fun! Jody and Johnny are the perfect age to be your next child star and can be cast in a variety of ages from young schoolchildren all the way to young teenage rebels! In addition to the standard six Quick poses (stand, walk, run, jump, sit, prone), Jody and Johnny are now available in three elevations and eight rotations of the six exclusive Quick Studio poses, specially designed for these kids: phone, point, punch/slap, kneel, type, and lounge. From adventuring into the nearby forest to slouching through the halls of the closest junior high school, these kids have a range of positions to choose from! These poses are the perfect addition for your next coming-of-age film, from typing reports for school to kneeling in search for a mysterious clue and lounging in the tree house during the summer, or even throwing a punch in a schoolyard scuffle. The extended Studio poses of the Business Suite Studio are sure to give extra depth to your pre-production vision! Jody and Johnny are flexible enough to represent a full cast of kids with color customizable features! Choose the color of their hair, skin, and lips to create many different characters; you can even customize Johnny’s t-shirt, pants, and sneakers and Jody’s chic outfit of a shirt, skirt and leggings, and tennis shoes! When you’ve chosen your custom colors for Jody and Johnny, you can save your characters for future use by renaming them and adding them to StoryBoard Quick Studio or StoryBoard Artist’s My Characters palette. The Kids Suite includes libraries of Props to keep the children occupied on a long summer day! Detail your storyboards with toys and sports equipment perfect for child’s play, or enough school supplies to indulge your hardworking teacher’s pet! From halftime snack foods to birthday cakes and old-school lemonade stands, or camping equipment to high flying kites and pinball machines, you’ll find the right accent for the Little League baseball diamond or the “No Boys Allowed” backyard fort! The Kids Libraries include exteriors and interiors for kids in the classroom, during recess, on the weekend, and summer vacation! All the everyday locations of your child starts are included and ready for shooting in this full-featured suite. Allow your kids to romp wildly through amusement parks, beachside caves, and city playgrounds, or take them out for ice cream after a well-behaved day at school. The phone, point, fight, kneel, type, and lounge poses aren’t confined to included characters any longer! 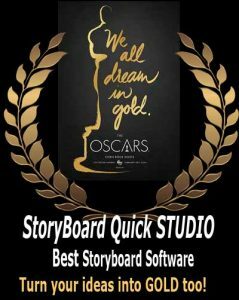 Get the extended Kids Suite Studio in your copy of StoryBoard Quick Studio or StoryBoard Artist today! Click here to read more about the extended Kids Suite Studio! Do you already own the Kids Suite? We offer discounted pricing for upgrading your Add-On Suite to a STUDIO version. Check out the upgrade pricing for Kids Suite Studio today!